The National Integrity Committee made a submission on the Consultation Paper for a Commonwealth Integrity Commission. The National Integrity Committee made a submission on the National Integrity Bills 2018. A National Integrity Commission is needed to investigate and expose corruption and misconduct in our federal government and public sector. The Australia Institute’s National Integrity Committee of former judges and corruption fighters is today meeting in Sydney to launch their Implementation Plan for a National Integrity Commission. The Victorian Government is attempting to pass a bill through the Legislative Council that will further weaken Victoria’s corruption watchdog IBAC. The Australia Institute’s National Integrity Committee of corruption fighters and retired judges has today released the next stage in the design of a National Integrity Commission. New research released today by the Australia Institute shows that the perception of corruption in Australia will continue to rise while allegations of corruption are either not investigated or are investigated entirely behind closed doors. The National Integrity Committee, hosted by The Australia Institute, today welcomed the announcement by Opposition Leader Bill Shorten that a Labor government will legislate to establish a federal corruption watchdog. 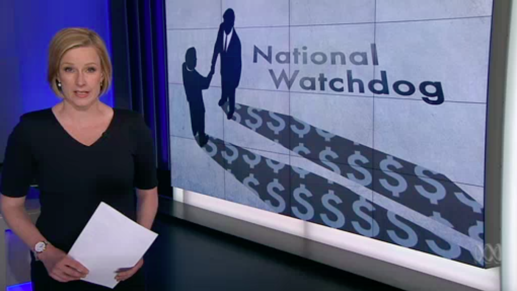 The pressure on Federal politicians to establish a national corruption watchdog has reached fever pitch as the extraordinary public support in polls and open letters combines with a push from legal experts and anti-corruption campaigners. The Hon Stephen Charles AO QC, former judge and adviser to Baillieu government on IBAC design, has today launched a briefing paper with The Australia Institute outlining the flaws in the operation of Victoria’s corruption watchdog. Corruption costs 5% of GDP worldwide. The cost of corruption to economies is well established, and much research exists on the impact of corruption on investment, business costs, efficient allocation of capital and economic inequality. The National Integrity Committee welcomes comments from Prime Minister on the establishment of a national anti-corruption body. Amid low levels of trust in Parliament, there is overwhelming and increasing support for a National ICAC. But voters are discerning. The Australia Institute made this submission to the Senate Economics Legislation Committee’s inquiry into consumer protection in the banking, insurance and financial sector. Political donations in Australia are difficult to monitor as many go unreported. Only donations over $13,000 are disclosed to the Australian Electoral Commission. Australia’s mining industry is 86% foreign owned and has spent over $541 million in the last ten years on lobbying Australian governments through its peak lobby groups, which are dominated by foreign interests. Corrupt conduct has always been part of human society, and has caused the downfall of empires and societies including the Romans and the Ottomans. It erodes public trust in government and encourages citizens to also act unethically. We must remain absolutely intolerant of public corruption. No federal agency has the investigative powers or jurisdiction to expose corrupt conduct in the federal government and public sector. This report examines the effectiveness of a national integrity commission without the ability to hold public hearings. 80 per cent of Australians support establishing a national integrity commission, and 78 per cent support establishing one with public hearings. New research released today by the Australia Institute shows that a federal ICAC may not be effective in exposing or investigating corruption and misconduct unless it holds public hearings. The Australia Institute today released the results of the Fitzgerald Principles survey of parliamentarians’ principles of good governance. The Australia Institute welcomes the opportunity to make a submission to the ACT Select Committee on an Independent Integrity Commission. The Australia Institute is surveying every federal MP and Senator on their values of accountability and integrity as momentum builds for a national anti-corruption body along the lines of the NSW ICAC. Polling shows the majority voters across the political spectrum support a federal ICAC. The Australia Institute welcomes the opportunity to make a submission to the Select Committee on the Establishment of a National Integrity Commission. Today’s conviction of the former NSW Labor Minister Ian Macdonald for misconduct in public office shows the importance of establishing a federal corruption watchdog with teeth. National polling has shown perceptions of corruption rate highest amongst those intending to vote for independents or minor parties such as One Nation or the Nick Xenophon Team. An open letter, published today, calls for an independent federal anti-corruption watchdog. The report examines 6 highly controversial QLD resource projects and reveals a pattern of political donations, remarkable access to ministers, unaccountable lobbying, cash for access, and the revolving door between the bureaucracy and industry.